On 4 and 5 December 2014 the 21st Meeting of the Ministerial Council of the OSCE in Basel, Switzerland, will be held. 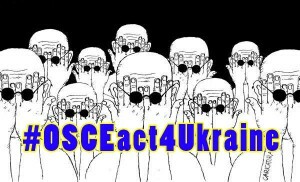 Let’s support Ukraine suffering from an overt Russian invasion that OSCE observers seem not to notice and demand that #OSCEact4Ukraine! Invite all your friends in one click with the easy-to-install plugins for chrome http://waa.ai/4ibR and firefox http://waa.ai/4dFZ. 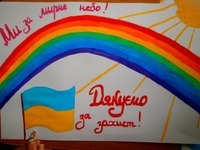 -what are Russian observers doing in the observation mission anyway?! -what about #CrimeaisUkraine and violation of human rights in occupied Crimea? Full list of tweets coming later. The Ministerial Council is the central decision-making and governing body of the OSCE. The meeting, held annually, provides the foreign ministers of the 57 OSCE participating States an opportunity to review and assess the Organization’s activities during the past year and offer national viewpoints on security matters.